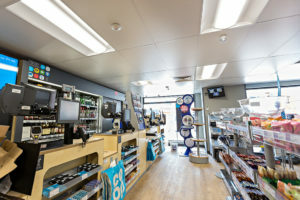 Dexeco delivers outstanding results on all fronts from lighting design and production right through to delivery, installation and customer support. 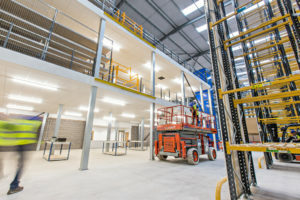 With a range of UK manufactured, precision-engineered products, Toolbank’s new distribution centre in Bullseye can now reap the benefits of a highly efficient and sustainable lighting system that utilises the full potential of LED and sensor technology. 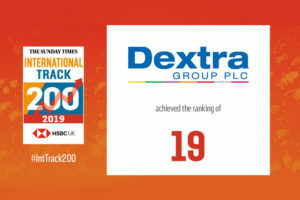 A subsidiary of hardware giants Dormole Ltd., Toolbank Express is a specialist wholesaler of high-quality hand and power tools, working in association with the world’s leading DIY retailers and tool manufacturers. 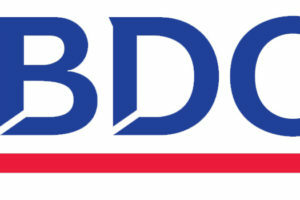 The company operates from 13 warehouses across the UK and Ireland and has maintained an excellent reputation for quality, efficiency and speed with each delivery. To respond to growing demand, Toolbank has recently expanded its logistics network by opening a new 180,000sqf distribution centre in Bullseye – strategically situated within the Midland’s “Golden Triangle”. 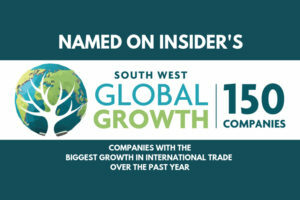 This area, delineated by the M1, M6 and M42 motorways, is a few hours drive from most of Britain’s big cities, making it highly desirable for companies looking for logistics accommodation. With the rise of e-commerce, the distribution sector has experienced an unprecedented growth, rising in excess of 10% annually in the last 5 years. Although growth has now plateaued, today, approximately 27% of all retail sales are made online, amounting to a total revenue of over £125billion. (IMRG, Cap Gemini and Ecommerce Foundation, 2016). This growth has been accompanied by a need for more sophisticated logistics services to meet customer demands, including faster delivery times, larger and more diversified storage solutions and a more responsive system for the return of goods. Nowadays, the onus is on companies like Toolbank to mitigate the environmental impact of the industry’s growth with operational efficiency. Toolbank as a result, was not only interested in positioning itself in a premium location in order to reduce the time, emissions and costs of transportation, but to operate from cost-effective and sustainable buildings. With this expanding sector being already on the radar for its increasing carbon footprint, businesses are extremely conscious of demonstrating their commitment to tackling climate change beyond simply reducing their carbon miles. This is why there is a high demand for eco-friendly properties that are built and equipped to minimise energy costs and improve the occupant’s green credentials. 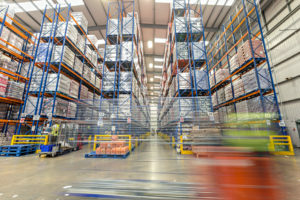 For electrical and mechanical engineers like Prospero Projects, high-quality LED lighting and intelligent controls play a crucial role in making logistics and industrial estates more attractive to prospective tenants or buyers. Companies want to move into turnkey facilities that are cost-effective and easy to run. Environmental and financial sustainability, therefore is at the core of these development projects. The other key requirement is that the facilities are tailored to suit the companies’ operations. Lighting solutions, as exemplified in this cases-study therefore, go a step beyond compliance, statutory regulations and general guidelines to satisfy very specific performance requirements as well as offer flexible functionality to adapt to the client’s needs. 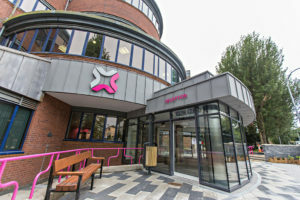 With its vast manufacturing capability, access to the highest quality European components, highly experienced in-house design team, fully qualified installation staff and its own transport fleet, Dextra Group fit in perfectly with Prospero’s procurement strategy which prioritises UK manufacturing, sustainability and high standards of quality, whilst keeping projects within allocated budgets and time constraints. Dexeco’s uncompromising commitment to quality and total service, ensured that products met or exceeded Toolbank’s requirements and that design, production, delivery and installation were co-ordinated and scheduled precisely to Prospero’s development programme. The design objective was to provide optimum lighting conditions for warehouse staff to work in, whilst ensuring that the new system would be as cost-effective and efficient as possible from installation through to operation and ongoing maintenance. The new lighting needed to support activities such as forklift driving, reading and writing of shipping documents and labels, general movement, as well as loading and stacking. According to EN12464 regulations task illumination levels were to range between 150 and 500lux depending on the activity performed in each area. In addition to the specified ambient light levels, glare reduction and uniformity of light were essential across the 14m high racking aisles, mezzanine storage and open packing areas, in order to ensure safety and comfort, as well as boost productivity in the workplace. Products supplied would therefore feature variable optics and outputs to adapt to different working environments. Luminaries selected would incorporate digital dimming, daylight regulation, and presence detection and emergency functions to maximise energy savings and optimise performance throughout the day, whilst minimising the time and cost of installing standalone control gear around the building. In addition to an average energy saving of 70% compared to fluorescent or HID alternatives, incorporating sensor controls will add up to a 30% cut in energy costs, especially as logistics facilities operate 24 hours a day throughout the week. These impressive savings do not include the significant long-term reduction in maintenance costs offered by high-quality LED. All LED products used are listed on the government’s Energy Technology List and eligible for the Enhanced Capital Allowance scheme offering 100% tax relief a year from the moment of purchase. An attractive 5-year warranty covered the entire installation offering Dextra Group’s first-class aftercare support. Energy-efficient technology such as LED will also allow Toolbank to benefit from boosting the company’s green credentials and improving its performance on the Carbon Reduction Commitment League table for further financial benefits. 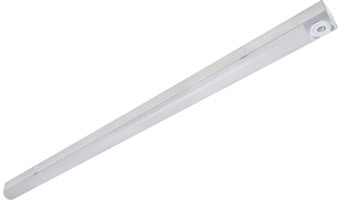 The Verteco LED has fast become the luminaire of choice for a growing number of blue chip companies in the UK. Its popularity is owed to its premium performance, excellent energy-efficiency and ability to simplify both installation and maintenance for increased return on investment. Contrary to most high-bays, the Verteco LED does not utilise high-output LED chips to deliver the power needed for large warehouse spaces, instead it combines high-transmission diffusers with mid-output sources to balance high LOR (light output ratio) with a controlled and visually comfortable light quality. As with most of Dexeco products, the luminaire is manufactured with high-quality LM80-verified Philips LEDs which maintain their luminosity for far longer than fluorescent sources. With the support of its Philips driver’s Constant Lumen Output function, which gradually increases the voltage to compensate for the source’s lumen depreciation, the system is now set to produce the same light levels as from the moment it was installed. Making use of its customisable optics and range of output packages, the Verteco LED was adapted to suit specific lighting requirements in each area. For the spacious packing area, a 22528llm version with Open Area optic was utilised to provide the recommended 200lux, whilst a 22413llm version with Ultra-High Racking distribution was installed to achieve the maximum 200lux required ensuring that the vertical plane of the racking system is well lit to assist with safe selection and picking of products. Despite the luminaires’ high-output, their optical design minimises glare whilst providing maximum visual clarity, allowing forklift operators to manoeuvre safely around the premises and staff to easily handle goods and inspect delivery documents. From a performance standpoint, the luminaires operate at an excellent efficiency of up to 125Llm/W depending on the output and optic variant. 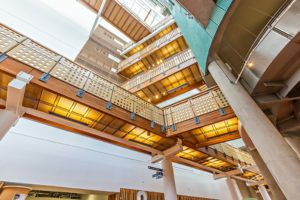 To maximise energy savings, the luminaries were supplied with integral Reacta 14 passive infrared sensors for daytime regulation and presence detection. The sensors were customised using narrow, wide and ultra-wide lenses to provide the most effective detection range for each area. Luminaries will now dim using a DALI protocol in accordance with the amount of daylight entering the premises, providing optimal light levels throughout the day at minimum energy expenditure, as well as switch on or off in line with occupancy patterns. The installation can now be programmed from ground level using the user-friendly REA-AP remote controller, allowing the staff to adjust dimming and sensor functions without the need to incur the costs of calling in specialist technicians. These integral sensors also saved Toolbank money by avoiding the costs of extra wiring or adapting the infrastructure to install standalone control gear. Now installed, the controller offers simple commissioning and accurate control from ceiling heights of up to 18m. The Verteco LED’s robust, white powder coated steel body and injection moulded green polycarbonate end caps are designed with durability in mind, making it ideal for warehouse and other industrial applications. The Verteco range is designed to make installation hassle-free, quick and therefore cost-effective with several key features including: unique slide-out mounting brackets to allow mounting onto trunking without removing the reflector, a practical back-flap for easier access for hardwiring and, for tighter schedules, a pre-wired “plug and play” version can also be supplied. The luminaries were delivered fully assembled and ready to further install to further reduce fitting times. The popular sensor-controlled Ecopack LED was selected to act as general lighting in the warehouse’s lower level areas. The luminaire utilises the latest Lumileds 3535 High-Efficiency LEDs combined with a high-transmission curved opal diffuser to offer high LORs and excellent diffusion of the source whilst operating at an impressive efficiency of up to 138Llm/W. Like the Verteco, the Ecopack LED is perfectly suited for logistics and industrial applications. Its steel gear tray and spine, and sturdy polycarbonate diffuser offer a compact and durable solution able to withstand such demanding environments. Compared to fluorescent equivalents, the luminaire’s LED source not only lasts longer, is more reliable and is easier to maintain, it also eliminates the risk of shattering and contains no toxic materials. With a number of customisable options including, outputs ranging between 1925llm up to 8400llm in either 600mm, 1200mm, 1500mm or 1800mm lengths, two optics offering high rack or open area distributions and three sensor options, the luminaire offers the flexibility to design installations using the most efficient luminaire configurations and layouts to achieve the best lighting results. 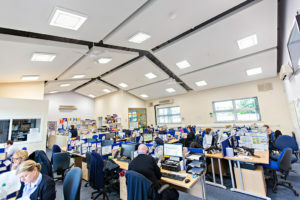 For the mezzanine area, a 8484llm version with optic (unspecified) was provided to achieve the recommended light level of between 150 and 200lux for uniform coverage, whilst in the lower level corridors and storage and utility rooms, a 5512llm version was installed to provide bright, yet comfortably lit conditions. From a wide range of compatible sensors and dimming options (DALI, DSI, High-Frequency, Switch Dimming and now White Tunable – to fine-tune the colour temperature of the LED source) offering various lens types and functions, the digitally controllable luminaries were supplied with Dexsor’s Reacta 44 PIR sensor, offering daylight regulation and presence detection for maximum energy savings. Sensors available with this range also offer remote control commissioning. For further return on investment, the Ecopack LED is designed to minimise installation times and costs with a two part construction containing both rear spine and a one-piece clip within the gear tray (Do you mean, One piece clip in gear tray? ), allowing technicians to easily mount the spine before electrical connections are made whilst the gear tray simply snaps into place. 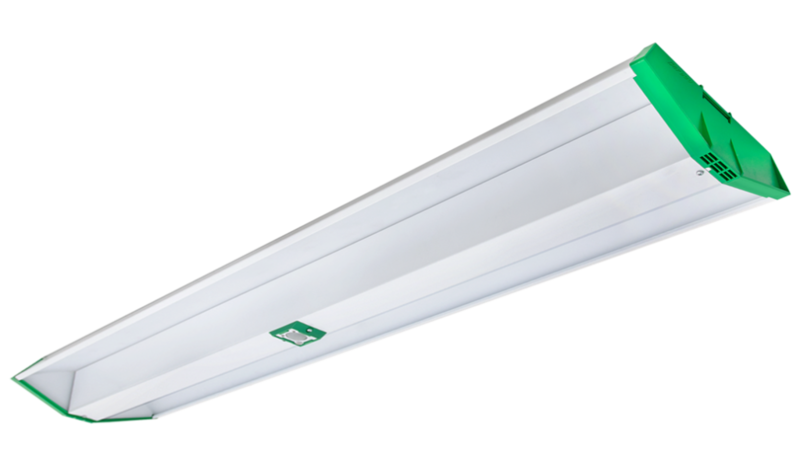 For retrofit applications, the luminaire features a matching footprint to that of typical fluorescent T8 battens making it easy to replace on a one-to-one basis, whilst all sensor variants require only live, earth, and neutral connections with no need for additional external wiring or to install a BUS system. With large quantity of luminaries installed there is a significant advantage in opting for automated emergency testing functions as they reduce the time, costs and service interruptions involved in laborious manual testing of individual luminaires. Self-test luminaries will do this by alerting of any fault with a dedicated LED indicator, allowing maintenance staff to single out fittings that need servicing, whereas auto-test systems offer complete monitoring of a whole network of luminaries via a user-friendly digital interface, producing detailed status reports periodically or on demand. These options provide additional ways through which clients can abide to safety regulations with ease and peace of mind whilst reducing maintenance costs over the system’s lifetime for further ROI. 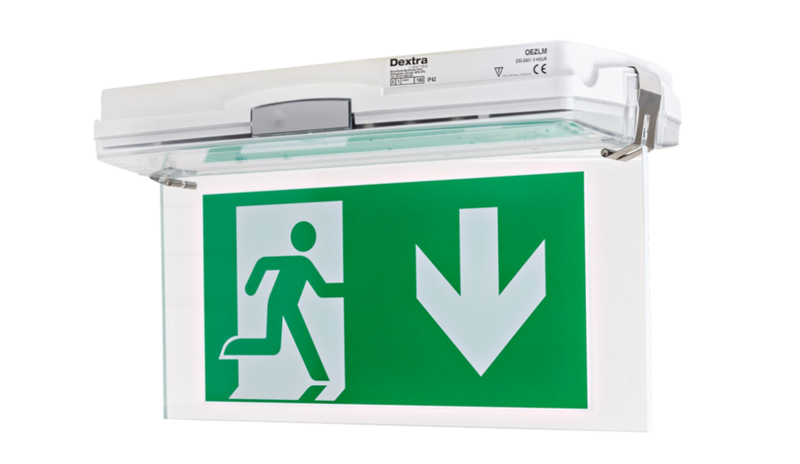 To support the integral emergency lighting, the IP40-rated OEZ LED surface mounted emergency luminaire provided clear emergency signage across the site, offering the low-maintenance and high-efficiency benefits of LED.